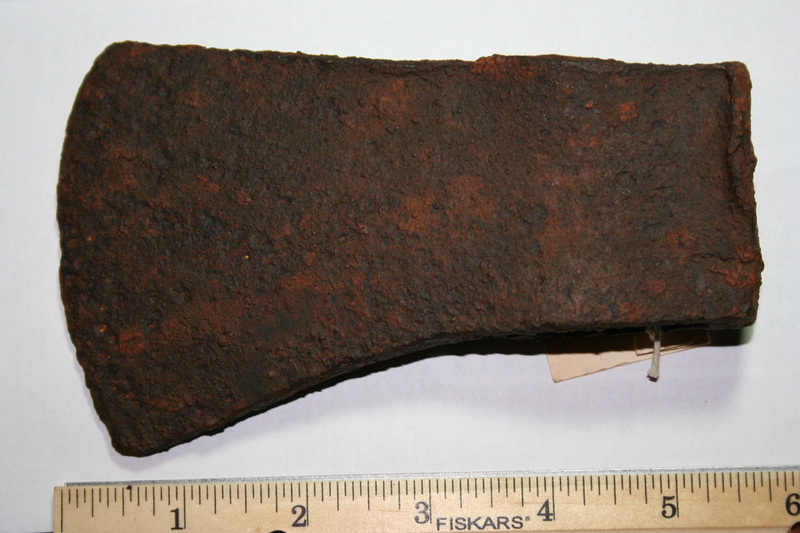 A frequent item found on fur trade inventory lists was "half axes". They were much like the axes we still use today for felling trees with the 36" handles except that half axes had slightly smaller squarer heads and shorter handles of around 20-24". The reason being that that they were large enough to reliably chop down trees yet without taking up too much room (weight or bulk) in a pack or on the back. Some of the heads on these had ears like the one in the picture and some did not. Naturally Indians weren't the only ones to use these on the frontier and they are still made today. This trade list indicates that half axes were twice the value in beaver pelts of the hatchets (trade axes) . 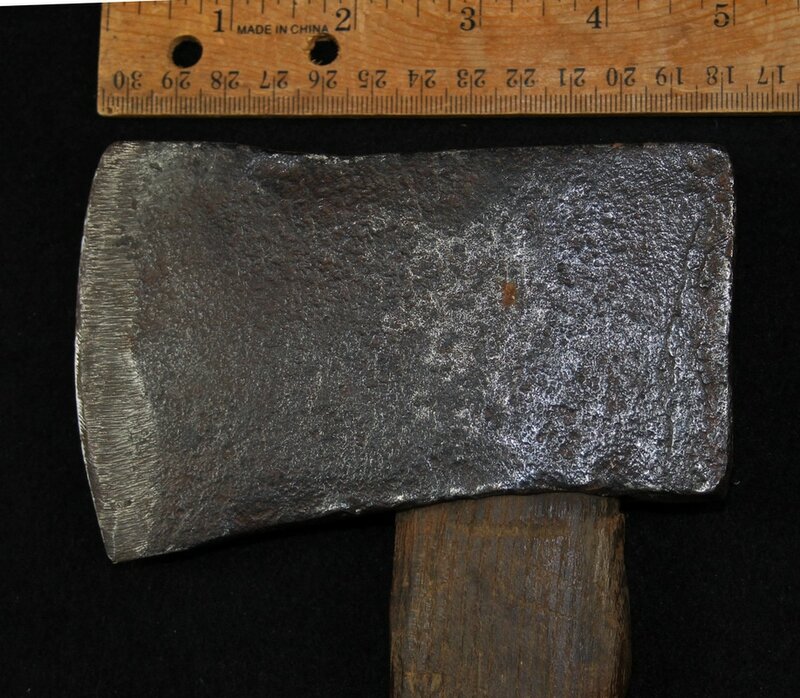 This example of a half axe weighs 2 lb. 4 oz. total, has a head 5" x 3.25" at the edge. It has a laid-on steel edge welded to the cutting edge and the poll end. Total length 19.75". 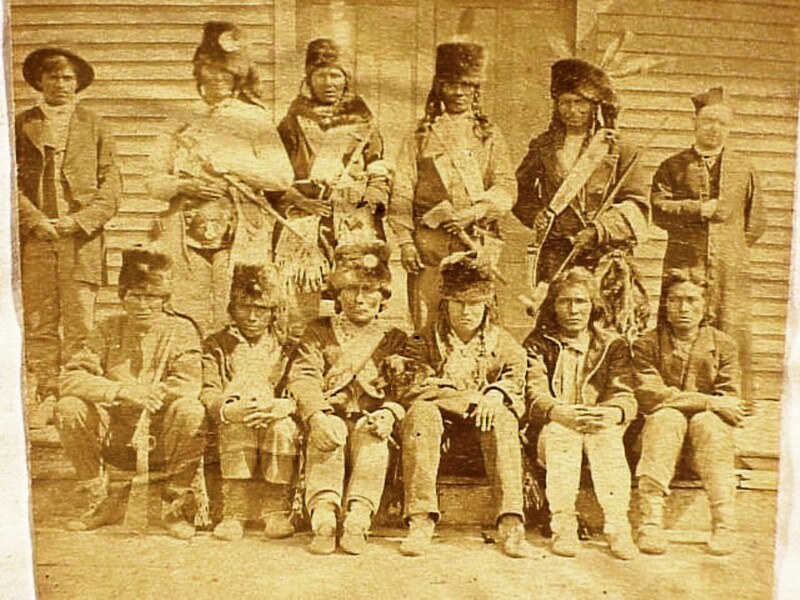 Mid 19th C. or earlier. 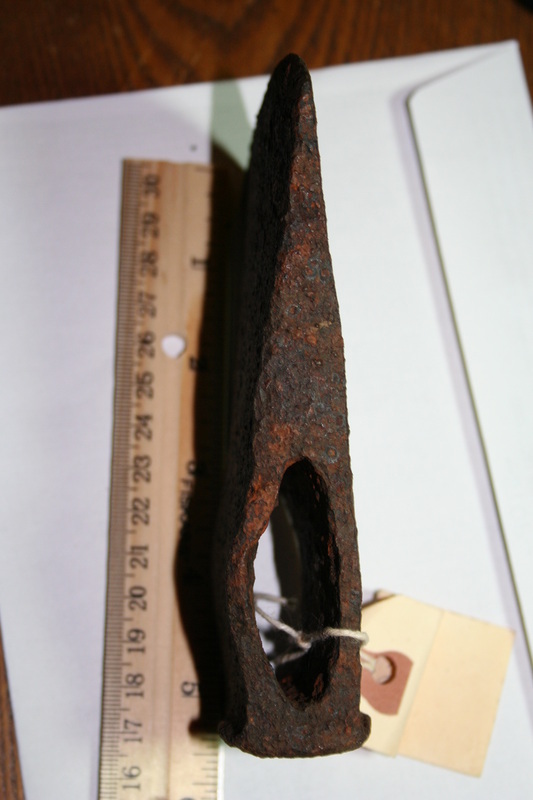 The following half axe was found at a 19th C. Pawnee village at the Linwood Site in Nebraska along with many broken trade axes and hoes that were purposely broken to make hide scrapers. Even though the Government wanted them to farm they weren't much into that. It weighs 1 lb. 14 oz. and measures 5.625" x 3.5"
A July 31, 1827 invoice from the American Fur Co.
25 doz 1/2 axes "Collins"
An 1822 trade list of John McKnight along the Canadian River in OK. listed "59 Half Axes" for trade with Indians. CAPT. ROBERT MATHEWS TO LT. COL. .JOHN CAMPBELL. to him a List of the Presents you sent, by the Canoes to Mackina. 78 Bags full of provisions for the men.